International Holocaust Remembrance Day, created in 2005 by a UN General Assembly resolution, coincides with the liberation of the Auschwitz-Birkenau death camp by Soviet forces on January 27, 1945. This is the first of a series of three articles being re-published to observe this solemn day of remembrance. The Auschwitz concentration camp was formally liberated by Soviet forces on January 27, 1945 (video). In the 66 years since, Auschwitz has come to symbolize the Holocaust. However, Auschwitz (where about 1,200,000 people died) was only one, albeit the most efficient, of six specialized “death camps,” all of them in Poland. The other five were Treblinka (800,000), Belzec (600,000), Majdanek (360,000), Sobibor (250,000), and Chelmno (250,000). Other camps, mostly devoted to slave-labor industries, were not specialized death camps, although millions died in them from disease, maltreatment, and execution. The numbers (source and source) of Jews, Gypsies, homosexuals, political prisoners, military prisoners of various allied countries, and others who died can only be approximated. It’s generally accepted that the number of Jews who died in the Holocaust is about 6,000,000, including about 1,500,000 children. The precise numbers will never be known. I commanded Auschwitz [from 1 May 1940] until 1 December 1943, and estimate that at least 2,500,000 victims were executed and exterminated there by gassing and burning, and at least another half million succumbed to starvation and disease making a total dead of about 3,000,000. 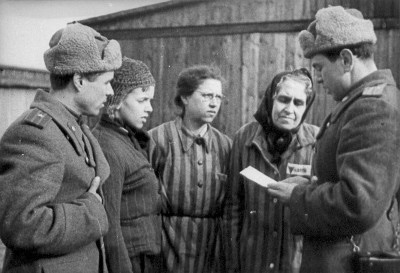 This figure represents about 70 or 80 percent of all persons sent to Auschwitz as prisoners, the remainder having been selected and used for slave labor in the concentration camp industries; included among the executed and burned were approximately 20,000 Russian prisoners of war (previously screened out of prisoner-of-war cages by the Gestapo) who were delivered at Auschwitz in Wehrmacht transports operated by regular Wehrmacht officers and men. 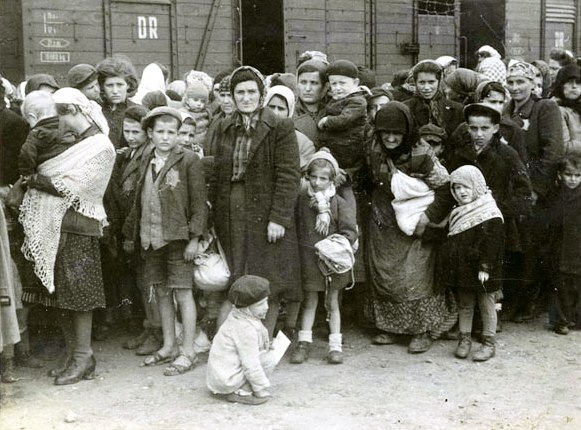 The remainder of the total number of victims included about 100,000 German Jews, and great numbers of citizens, mostly Jewish, from Holland, France, Belgium, Poland, Hungary, Czechoslovakia, Greece, or other countries. We executed about 400,000 Hungarian Jews alone at Auschwitz in the summer of 1944. Although sometimes quoted, some of these numbers are almost certainly wrong. Most serious researchers and historians put the number of dead at Auschwitz in the range of 1,100,000 to 1,600,000, about 90 percent of them Jews. Why would the commandant of the camp himself be wrong? Höss gave strange numbers in both his autobiographical book, written while a prisoner in Poland, and his Nuremberg testimony. Perhaps he just didn’t know, or perhaps he was using numbers obtained from others, when he went from Auschwitz to the SS camp inspectorate office and worked with the administrators of many camps. Some believe Höss may have written the book under pressure from his Polish captors. One doesn’t have to be a Jew to consider the holocaust the most disturbing event in Western history. I’ve spent a lot of time, both academic and personal, studying it and the historical period in which it occurred. This has included reading a large number of books and academic studies, participating in discussions and seminars, and studying informally with a rabbi who himself survived two camps in France and was a legitimate expert. I’ve only been to only one concentration camp, Bergen-Belsen in Germany, which was razed by the British after it was liberated to stop a typhus epidemic. All that’s there now is a small memorial center, a monument, and large, low mounds beneath which the remains of human victims are interred. Row upon row upon row of mounds, thousands and thousands of people. I’ve studied the einsatzgruppen, SS killer formations which, along with their associated reserve police battalions, roamed through Poland, Russia, and other regions. I also know that some countries, and their people, tried and largely succeeded in protecting their Jewish citizens; the people of Denmark and Bulgaria were heroic indeed. Other countries chose instead to hand over their Jewish countrymen to the Nazis or, in some cases, to kill them themselves. France, Hungary, Croatia, Romania, and Poland come to mind. Countries allied in the war against fascism knew enough, at some point, to have saved many lives, but they largely did nothing. And the Vatican knew enough early on to have saved possibly millions, had they but wished to. This profound failure calls into question the belief of the Church in the most fundamental principles upon which it exists. I’ve pondered the questions everyone else grapples with. Why did the Nazis consider less than one percent of their citizens (about 580,000 of 62,000,000) to be such a serious threat? The answers can only lie in centuries of anti-semitism, certainly from the time of the Crusades, and the need for a revolutionary movement to have scapegoats. How did a country of cultured refinement descend to such unspeakable depths? Did the German people really know what was happening? Perhaps not all knew, at least not the details, but there were literally hundreds of thousands of Germans directly involved in and helping manage the killings. They knew, and through them so did millions of other Germans. And why did so many in other countries, themselves at war with Germany, willingly surrender Jews to the certainty of death? To simply say “anti-semitism” is accurate but far from sufficient. And perhaps the most irritating question, often heard from Holocaust-deniers and others who question the overwhelming burden of historical evidence, is this: Why did the Jews permit themselves to be slaughtered? Why did they march off to their deaths like so many docile sheep? There are several answers, none of them very comforting. Any subset of any people can be systematically slaughtered if those in charge wish to do it and the vast majority of their followers support it or at least acquiesce. When the sheer power of the state is applied against a relatively small number of civilians, it cannot be resisted. A few trained and armed soldiers and policemen can control a large number of average people, especially people who consider themselves full-fledged citizens of their country and who cannot bring themselves to believe such a monstrous crime could be instigated by their state. Until it’s too late. Of course, there were some who saw it coming and got themselves and their families out of danger, and there were others who resisted as much as they could. But generally, it was too few and too late. There are many reasons why the Holocaust should never be forgotten, but one may be more important than all others. It’s true, of course, that there have been other examples of the horror of large-scale genocide, and there will be others. But there is a critical difference. This genocide was carried out against an accomplished people, a people who have contributed more to humanity than any other, by another people, meaning much of Europe, to whom the world looks for leadership and example in culture, achievement, and humanitarian impulse. If humanity could so seriously fail in that case, who is ever safe, anywhere? The anniversaries of various events in the history of the Holocaust are useful for remembering, which is a fundamental obligation we owe to all those who perished. And it’s an obligation of every fortunate beneficiary of Western culture, Jews and non-Jews alike. The state of Israel is the homeland created by and for Jews all over the world in the aftermath of the Holocaust. 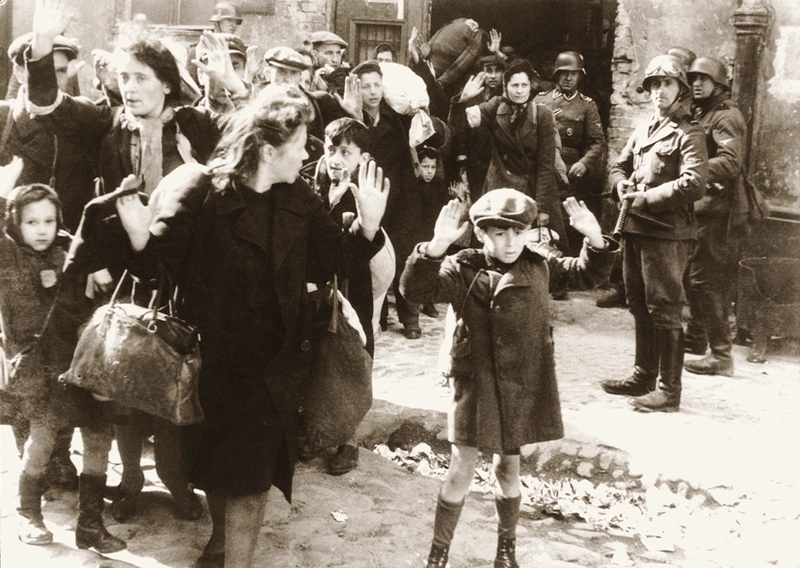 As the citizens of that small country of a few million struggle daily to defend their very lives against hundreds of millions, many of whom would see them perish in yet another Holocaust, the rest of us cannot lose sight of the simple fact that history can repeat itself. And if all of us are not vigilant, it almost certainly will. For the benefit of all humanity, the civilized people of the world must draw a line beyond which we will permit no transgression. For the sake of us all, we must embrace as a guiding principle the solemn obligation not only to remember but to ensure that it never happens again. Never again. This is a great post, Tom. Thank you for writing it! !